Are you ready to be up on 2019's hottest hair trend? It started with ‘THAT GUCCI HAIR CLIP’ the one that went crazy on Instagram. Designers like Dolce & Gabana sprinkling the model’s hair with flowers & patterned scarves, Miu Miu showcasing petite bows & Prada going all out with Chunky satin headbands. Celebs are in on it too such as Holly Willouby, the Kardashian’s, Ariana & J.lo all supporting this hot 2019 trend. This year it’s all about accessories, hooray for hair novices! 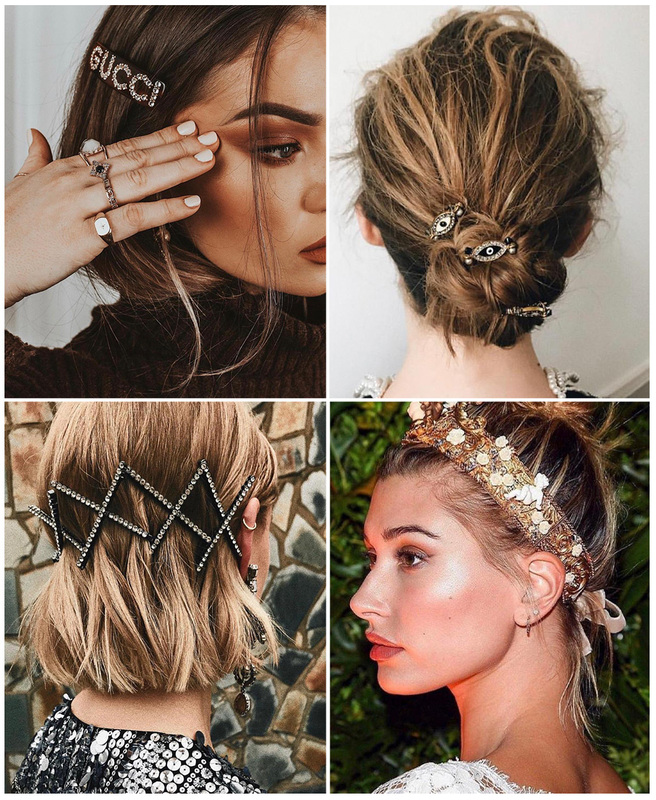 No skill needed to get your hair on trend - with barrel clips, jewelled slides, butterfly clips, scarves & headbands for the win! Glam up your 2nd day blow dry, add some sparkle to your slick back pony or even make your messy bun more fashionable! Making your hair interesting again doesn’t need to be expensive, you can revive something you already have, finding an old headband & embellishing it with jewels & ribbon or even old jewellery. High street stores are already on board with a wide selection in stores, even the likes of Primark you can pick up some great hair pieces on a low budget. These accessories are great to bring into the salon & ask your stylist to incorporate into your races day hair up, festival look or even just for a night out to stand out from the crowd!